Team India are slated to play five Test matches against England starting from August 1. 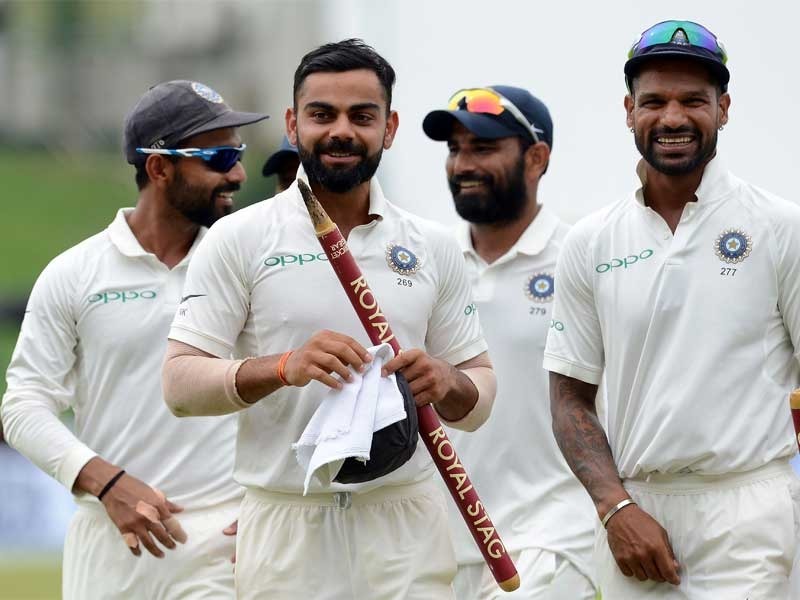 Winning Test matches outside the sub-continent has always been one heck of a task for the Indian teams over the years, but former India skipper Sourav Ganguly reckons that Virat Kohli and company have it in them to rewrite the history books in their upcoming assignment in England. 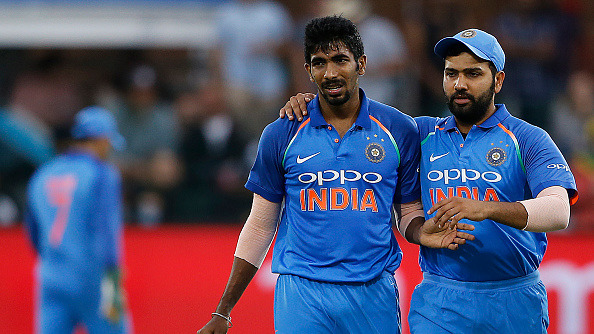 India’s tour of England will commence on Tuesday (July 3) with the limited-overs fixtures (3 T20Is and 3 ODIs) before both the teams feature in a five-match Test series from August 1. “Whenever I see Virat Kohli playing for India, leading the team, I get a feeling that this team has the potential and ability to win the Test series in England as they are fighters on the field. They were not able to win the past two series there in 2011 and 2014 but this team has a realistic chance of winning the Test series,” Ganguly quoted as saying by India TV. Dada justified his remark by stating that India boasts a much better bowling attack this time around. However, he feels the visiting batsmen will have to put 450-500 runs on the board to keep their bowlers in the match. “For me, the important thing will be to see how many runs India put on the board. When I was the captain, Anil Kumble used to tell me that you give me 500 runs on the board and we will win you the match. Virat Kohli, Ajinkya Rahane, Murali Vijay, KL Rahul... all of them will have to think over the fact that how they will score at least 450 to 500 runs. The weather in England is a little on the hotter side and I feel the wickets will be good to bat on. So, if Indian batsmen score 450 to 500 runs, they will have a chance to win,” he added. Ganguly also expects Virat to better his Test record in England this time around. Despite his awe-inspiring record all over the world, Kohli hasn’t been able to perform at his best in red-ball cricket on English soil. With just 134 runs in five Test matches at a dismal average of 13.40, doing well in England is a top priority for the Indian captain. “Last time he didn't score runs so he will eager to correct that this time. There is a lot of difference between Kohli of 2014 and 2018. I think he will score runs this time. Kohli's footwork and bat movement has improved. He has to be careful at the start and treat balls moving outside the off stump with caution. England's bowling lineup is aging and Kohli is a batsman who is moving upwards. Kohli has an empty chapter in his life and I think it will be written in England this time. This will be an opportunity for Kohli and he should encash it,” Sourav remarked. When asked about the playing XI for the Test series, Ganguly was in favour of including KL Rahul and Kuldeep Yadav on the team sheet. He also termed Hardik Pandya as a vital member of this side. “KL Rahul and M Vijay should open in Test cricket. Pujara at 3, Kohli at 4, Rahane at 5, Saha at 6, Pandya at 7. Pandya is the fulcrum of this side, so his game has to be solid. Bumrah, Bhuvi, Umesh, Pandya, Ashwin. I would start with Kuldeep over Ashwin in the first Test. He has the ability to create doubts in the minds of batsmen,” Dada opined. 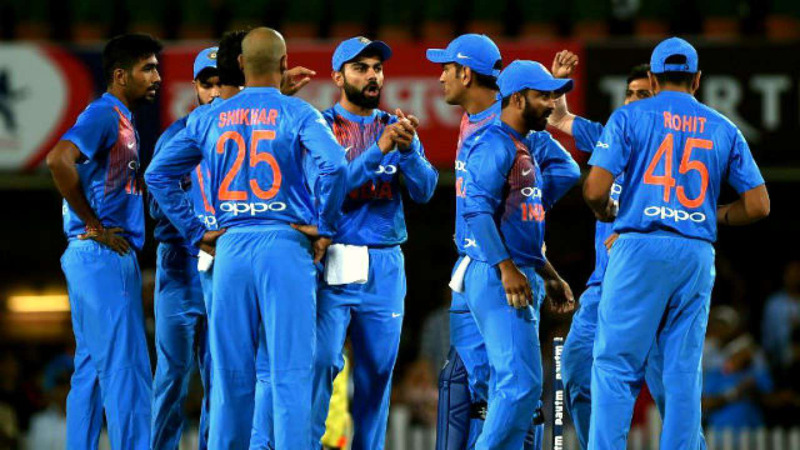 Speaking about India’s ideal combination for the T20I series, Ganguly stressed on using the spinners to restrain the mighty English batting line-up. “India have three spinners - an off-spinner (Washington Sundar), a left arm wrist-spinner (Kuldeep Yadav) and a leg-spinner (Yuzvendra Chahal). Old Trafford has been a spin-friendly track, so advantage will be with India. But if I am England captain, I will leave some grass over it. All the three spinners can win India matches. Kuldeep and Chahal will start because England don't play wrist-spin very well. But if I am an England batsman, I will not let them settle by going for the attack,” he stated. “Rohit, Shikhar, Virat, Dhoni and Hardik are automatic selections. Dinesh Karthik played a great knock against Sri Lanka. In the batting order Karthik should come at No. four, Dhoni at five, then Pandya followed by five bowlers,” Ganguly concluded.